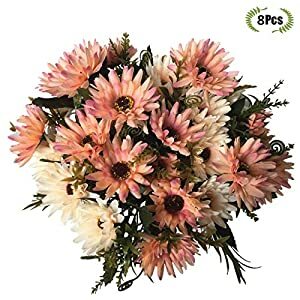 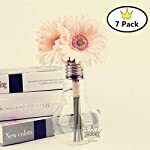 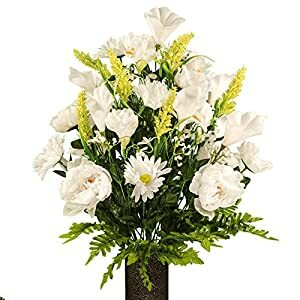 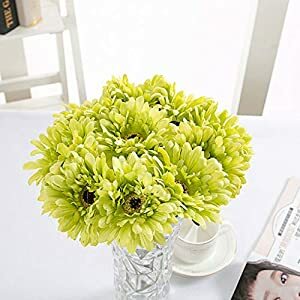 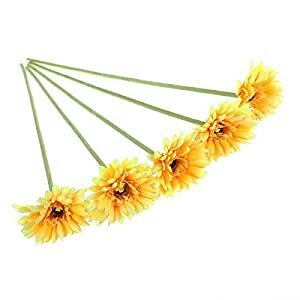 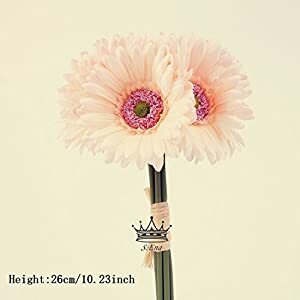 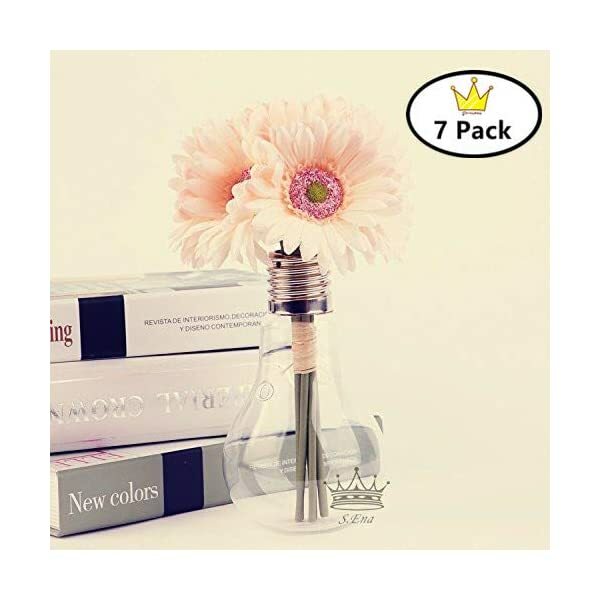 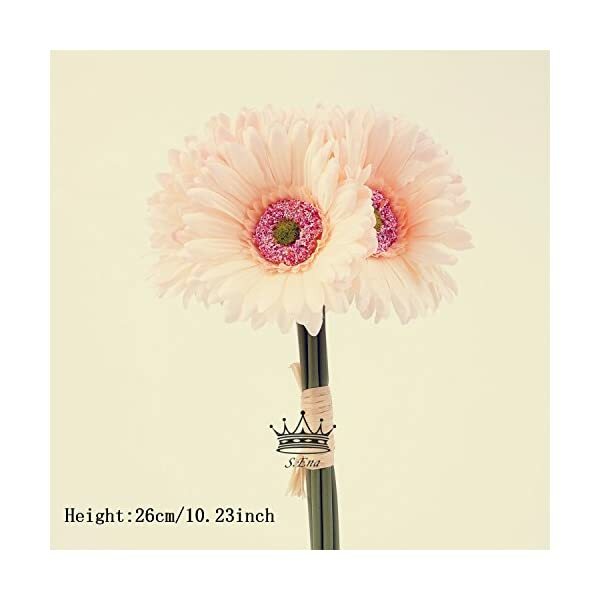 *BEAUTIFUL & ELEGANT: S. Ena Artificial Silk Fake Gerbera Daisy Flowers with 1 stems and 1 flower head, flower diameter 3.7”, Each Bunch dimension approx. : 10.23″ H x 3.7″W. 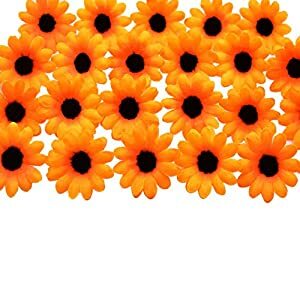 *HIGH QUALITY MATERIAL: 100% Brand New and High Quality Silk and Plastic, Feeling like real. 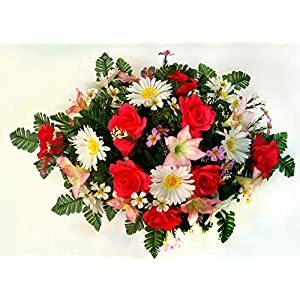 *CONVENIENCE: No Pruning, No watering, No soil, No fertilizer, No insects and No trouble to look after. 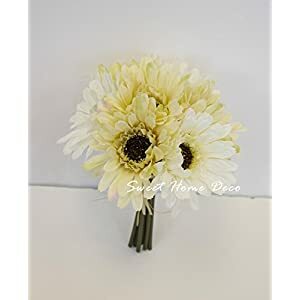 *WIDELY APPLICATION: Suitable for weddings, stages, parlor, bedroom, office, hotel, dining rooms, birthday, Valentine’s Day, stores private club and any other place that you want to decorate. 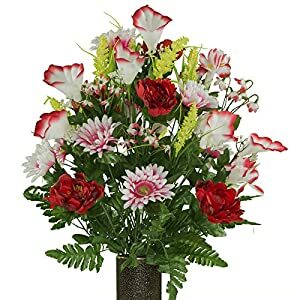 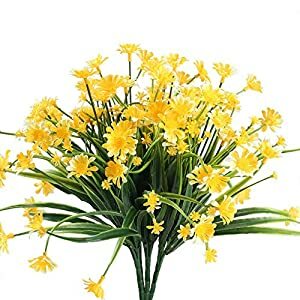 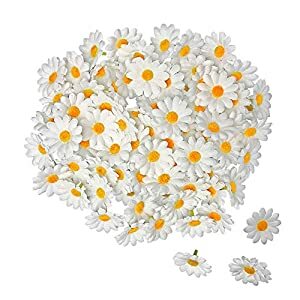 *PACKAGE: Include 7 bunches, no vase included.